Chuck. 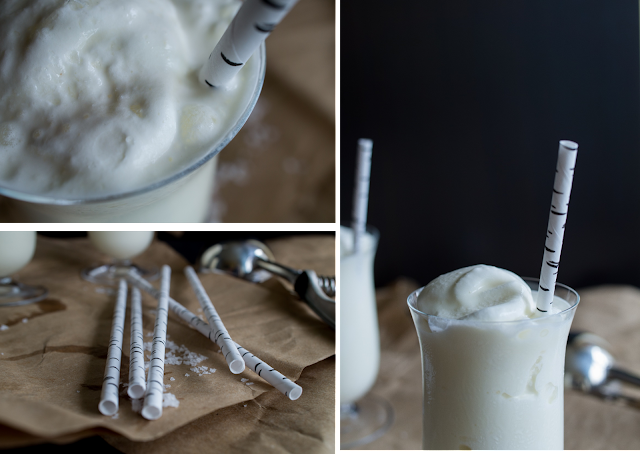 If you live in or near Toronto (and heck, even if you don’t) you should go there and eat a burger and drink this milkshake. Apparently I like my ice cream salty. This milkshake is so fresh! 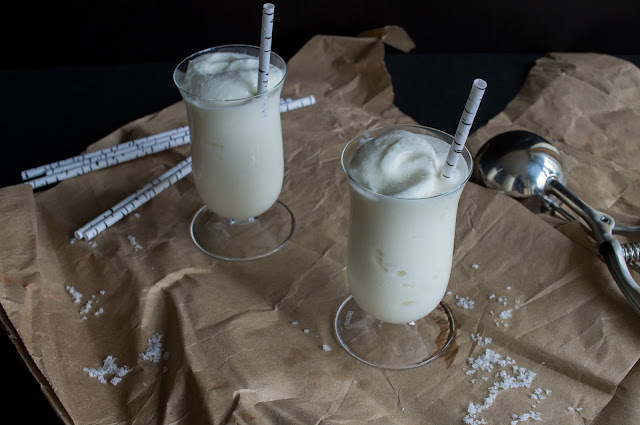 The salt balances out the tang of the buttermilk and the sweetness of the sugar and honey. It’s heaven. The only thing to watch out for is the temptation to add the buttermilk before you refrigerate the cream mixture. Buttermilk is a living thing. It contains lactic acid bacteria that feed on the milk sugar lactose and produce (you guessed it) lactic acid which starts to curdle the milk proteins. That’s what makes buttermilk thicker than regular milk. If you add it to the cream mixture those bacteria will do the same thing to the cream. Soon you’ll just have a big bowl of buttermilk! 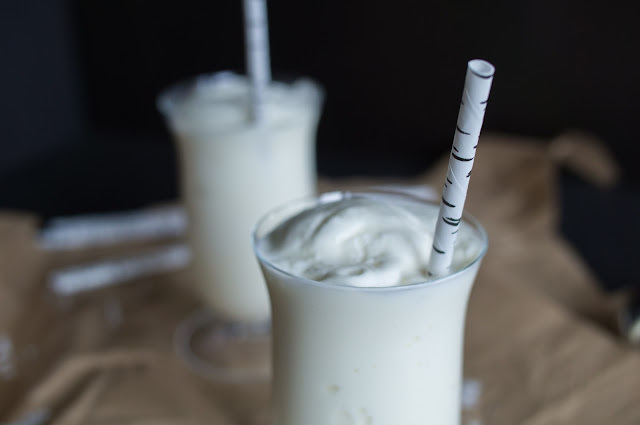 This milkshake is rich and creamy and definitely hits the spot. Happy Thanksgiving! Makes two smaller or one larger milkshake. Multiply as required! 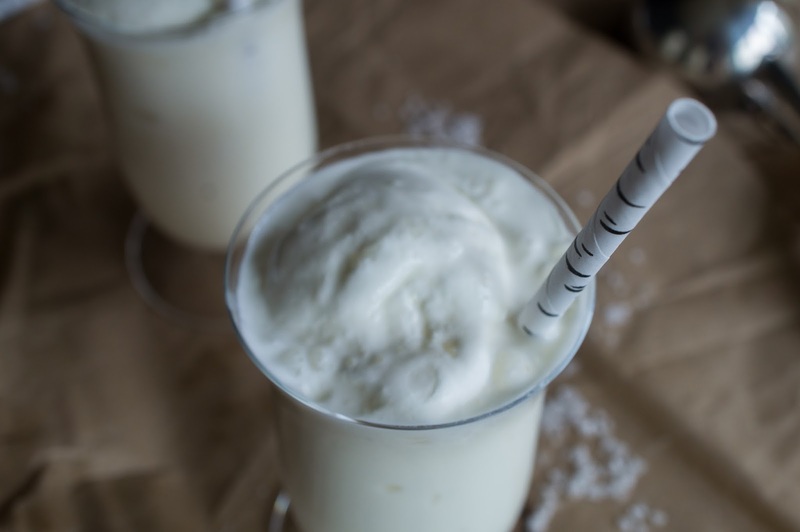 When ready to milkshake, put about 2 cups of ice cream and 1/4 cup of milk into a good blender, if you have one. I used my immersion blender cause this stuff will be thick. If you really can’t get it to blend, wait a little bit for the ice cream to warm up. You don’t want to add too much milk. That’s the beauty of this milkshake! Once blended and smooth pour into two smaller glasses or one larger one. Sprinkle on some salt to taste and stir through. Enjoy! Adapted from David Lebovitz. Makes 1 quart (almost 1 L) of ice cream. 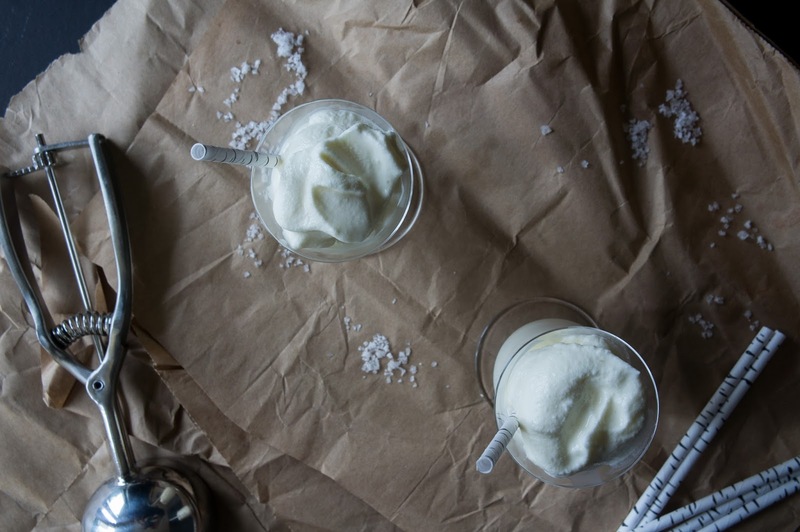 In a small saucepan over low heat, dissolve the sugar and honey in the cream. Refrigerate until completely cold. I like to do it overnight, that way there’s no second guessing. The next day, stir in the buttermilk (don’t put the buttermilk in early as it will start to turn the rest of your cream into buttermilk too!) Churn in your ice cream maker according to its instructions. Transfer to a container and freeze.